Florence Arto Vidor. Courtesy of Getty Images. Image available on the Internet and included in accordance with Title 17 U.S.C. Section 107. Movie still of Florence Vidor and co-stars Betty Bronson and Adolphe Menjou in Are Parents People?, 1925. Image available on the Internet and included in accordance with Title 17 U.S.C. Section 107. Movie still of Florence Vidor and co-star Wallace Berry in Chinatown Nights, 1929. Image available on the Internet and included in accordance with Title 17 U.S.C. Section 107. VIDOR, FLORENCE ARTO (1895–1977). Florence Arto Vidor, motion picture actress, daughter of Ida and John F. Arto, was born on July 23, 1895, in Houston. She was educated in the Houston public schools and at the Convent of the Sacred Heart, also in Houston. While pursuing local acting opportunities, she was introduced to two local filmmakers, Edward Sedgwick and King Wallis Vidor. She appeared in Vidor's first two-reel film, In Tow, as well as a documentary on the sugar industry. In early 1915 she and Vidor were married and travelled with Sedgwick from Galveston to California in hopes of employment in the expanding film industry. Residing in Santa Monica, then Hollywood, Florence Vidor sought roles in motion pictures through introductions made by actress Corinne Griffith (see GRIFFIN, CORINNE MAE). Griffith, who had known the Vidors in Texas, took Florence to the Vitagraph Company in Santa Monica, where Vidor did a screen test. A contract with Thomas Ince followed, and Vidor was employed at five dollars a day for two days a week. Her Hollywood film debut occurred in November 1915 in The Yellow Girl for Vitagraph. 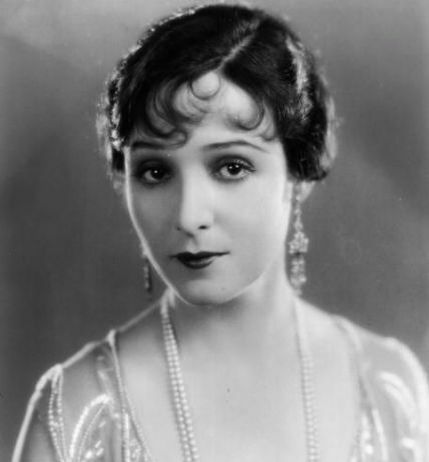 A mature and elegant presence, Florence Vidor performed in fifty-nine feature films, often cast in upper-class or aristocratic roles, several directed by her husband. Her most successful pictures include A Tale of Two Cities (1917); The Jack Knife Man (1920); Alice Adams (1923); Are Parents People? (1925); The Popular Sin, Afraid of Love, The World at Her Feet, and Honeymoon Hate (all 1927); and Doomsday (1928). Her last film appearance was in Chinatown Nights (1929). Florence and King Vidor separated in 1917 and were divorced in 1924. Florence married violinist Jascha Heifetz in 1928 and was divorced from him in 1946. From the two marriages she bore two daughters and a son. Vidor died November 3, 1977 at her home in Pacific Palisades, California. John Baxter, King Vidor (New York: Monarch, 1976). Motion Picture Almanac, 1933 (New York: Quigley, 1933). Evelyn Mack Truitt, Who Was Who on Screen (New York: Bowker, 1977). Variety, November 9, 1977. King Vidor on Filmmaking (New York: McKay, 1972). Handbook of Texas Online, John H. Slate, "VIDOR, FLORENCE ARTO," accessed April 21, 2019, http://www.tshaonline.org/handbook/online/articles/fvi22. Uploaded on June 15, 2010. Modified on July 27, 2017. Published by the Texas State Historical Association.